Bienvenue sur cet espace de discussion ouvert à tous ! et nous sommes là pour répondre à vos questions ! Sujet : Bang Bang... photos rares ! 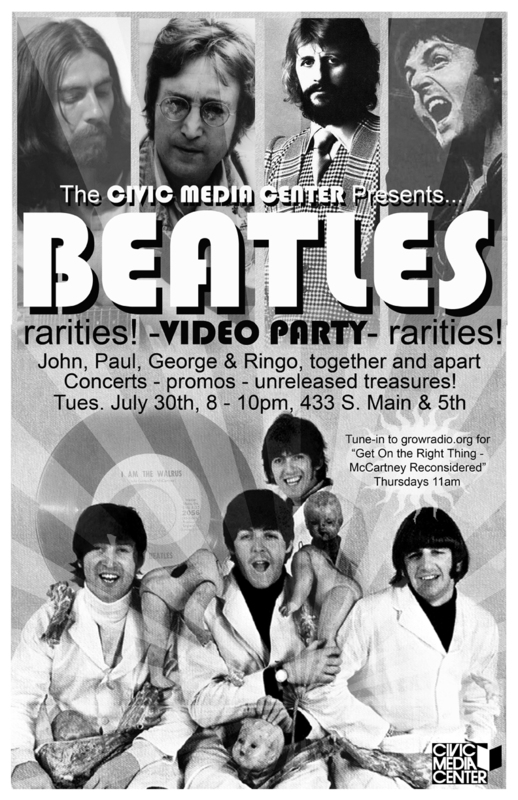 Beatles promo films: Strawberry Fields Forever, Penny Lane, A Day In the Life, All You Need Is Love, and a Hey Jude Rehearsal film. 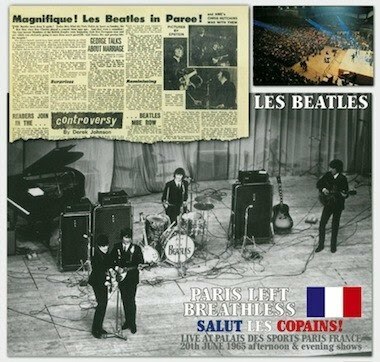 and lastly, the Beatles Live in Paris in 1965, (never seen in America). Filmed live at Palais Des Sports, Paris, 20 June 1965. The TV programme was shot by famous French director Jean-Christophe Averty. He hated rock and roll and dismissed the Beatles as minor musicians. He considers he did a very bad job with the Beatles concert. 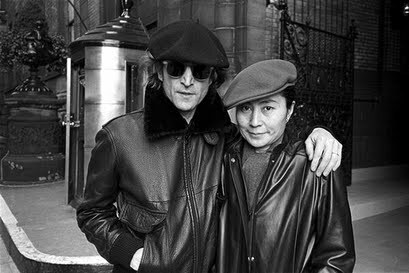 For years he banned the showing of the film again, until Apple got the masters back from INA (the national film archives) to include some clips in the Beatles Anthology TV series, "I'm A Loser" and "Everybody's Trying To Be My Baby". The Beatles opened their short European tour at the Palais Des Sports in the Place de la Porte de Versailles on Sunday 20 June 1965. They appeared on two shows at the arena, the first at 3.00pm and the second at 9.00pm. The second show was broadcast by both French Television and radio and the two houses were full to the 6,000 capacity – something which hadn’t happened for several years. The songs performed: Twist and Shout, She’s A Woman, I’m A Loser, Can’t Buy Me Love, Baby’s In Black, I Wanna Be Your Man, A Hard Day’s Night, Everybody’s Trying To Be My Baby, Rock And Roll Music, I Feel Fine, Ticket To Ride and Long Tall Sally. The group received a tremendous reception after their final number, "Long Tall Sally". Ringo had a solo spot with "I Wanna Be Your Man" and George had sung lead on "Everybody’s Trying To Be My Baby". There was enthusiastic applause for Paul when he tried to introduce several songs in French. After the show French chanteuse Francoise Hardy visited the group at the George V Hotel and later they visited Castell’s nightclub. For some reason, the television show was edited in such a way that the songs no longer ran in the correct order as performed, and "I Feel Fine" was omitted. Superbes double galerie de photos (la deuxième est en bas de page). 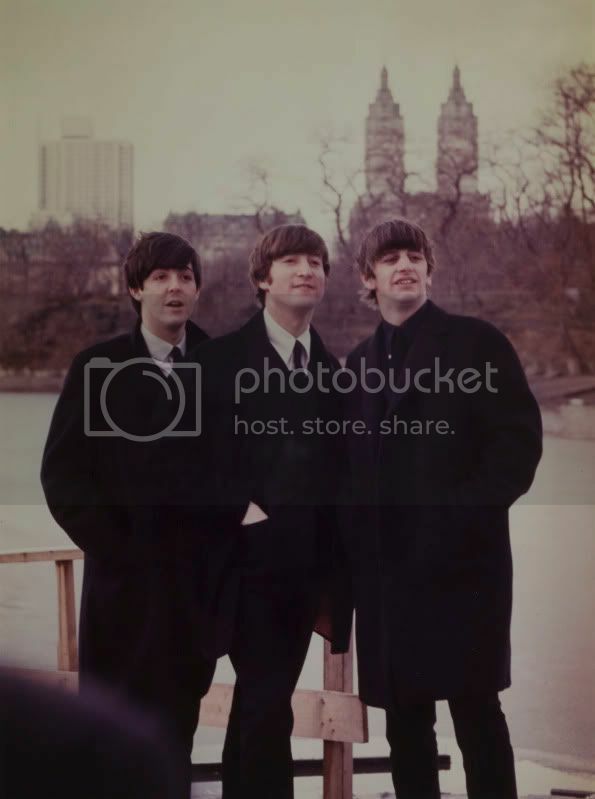 Il y en a même une où on voir John (accompagné de Paul et Ringo) avec en fond le Dakota Building où il allait vivre... et mourir.